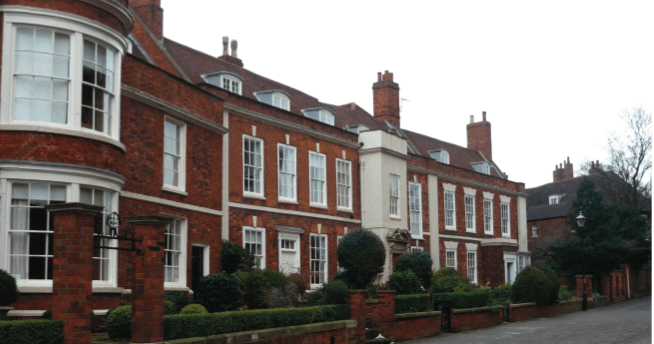 In wartime Britain, clothes were on ration and shopping wasn’t an option. Instead, women were told to Make Do and Mend. Now, in times of economic hardship and environmental concerns, this idea is being made current again. The reasons behind it, though, couldn’t be more different. The problem today, according to those promoting Make Do and Mend is not that there is too little, but too much. “If people could start looking after their clothes a bit better, and consider what they are buying… then that would be a great start”. Nathalie, 26, is originally from Hamburg, Germany. She now lives in London and works full time for a consultancy that helps companies to improve working conditions in their supply chains. She promotes Make Do and Mend in her spare time. Nathalie became concerned with shopping habits after she began a masters degree in ethical fashion. Her research led her to discover the truth behind supply chains. “All of this experience inspired me to come up with something that tackles both environmental and social issues”, Nathalie explains. 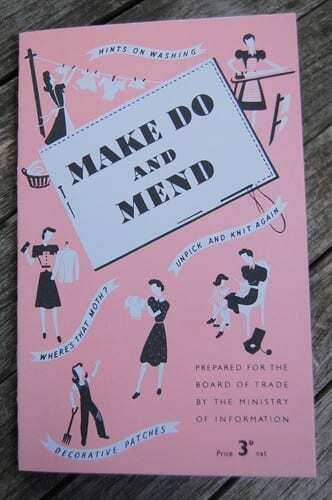 The Make Do and Mend movement is based on basic sewing skills and garment care – skills that, although they may have dwindled over the years, are still around today. In today’s society, the need to mend clothes is, Nathalie admits, gone. But it doesn’t mean it can’t continue to be done. 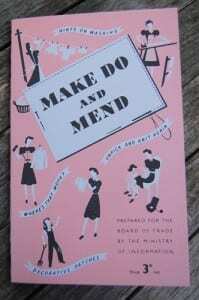 Make Do and Mend can be about appreciating and caring for clothes while they are still in good shape. Nathalie advises: “Avoid tumble drying which can shrink clothes” and instead lay them on radiators to save them from the wear and tear of the machine. Shopping wisely is the easiest way to incorporate the ideas behind Make Do and Mend into every day life. Considering alternatives to the high street, such as second hand shops and clothes-swap events, can all help to tackle clothing consumption when sewing and darning just won’t cut it. 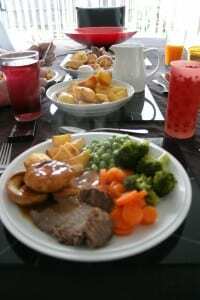 For the Cousans’, the Sunday roast marks the end of the weekend. 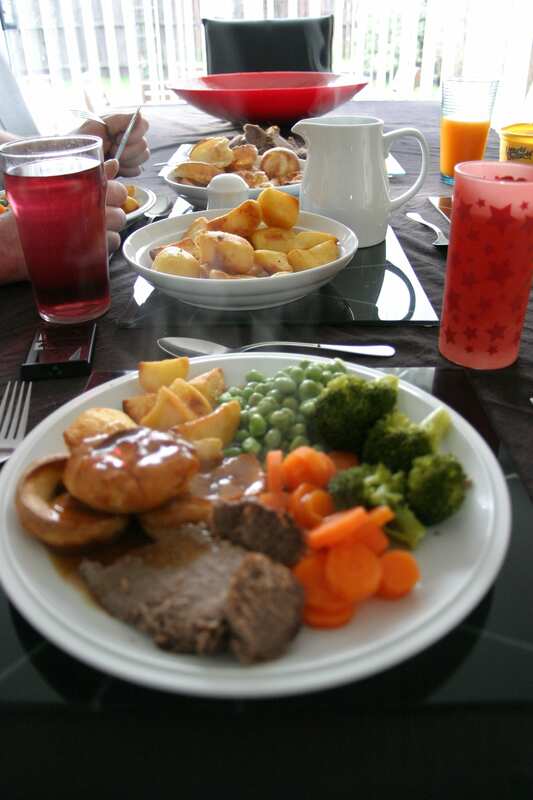 A day for the family to get together and cook a traditional Sunday roast from scratch. Their Sunday routine is long established; where they once used to go to Grandma’s for Sunday lunch, Mum has taken over the reigns and now cooks for her children and mother.The Cousans’ are conscious of healthy eating so have a lot of fresh vegetables accompanied by meat, roast potatoes and Yorkshire puddings. Mum, Sarah, likes to source things locally where she can. 11.15: Sarah turns on the oven to heat whilst she prepares the beef and peels potatoes. 11.35: The beef goes into the oven and Sarah begins preparing the veg. 11.53: Sarah makes the Yorkshire pudding mixture according to her mum’s recipe. 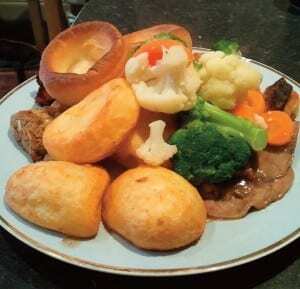 12.00: Sarah spends 20 minutes cleaning up the mess made by making Yorkshire puddings and preparing the vegetables. 12.30: Potatoes are put on the stove to part boil. 12.45: Potatoes are transferred to the oven to roast. 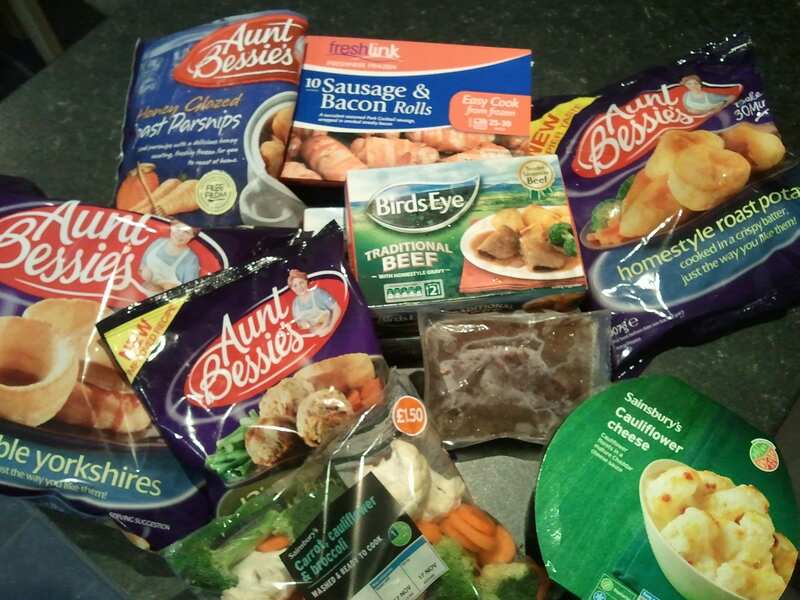 12.59: The Yorkshire pudding mixture goes into the oven and the carrots are put on to boil. 1.05: The peas and brussel sprouts are add to a pre-boiled pan of water to cook for seven minutes. 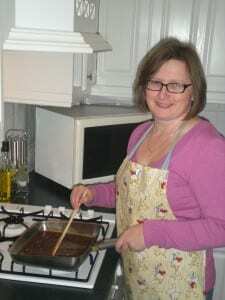 1.10: The meat is taken out of the oven and its juices are mixed with instant gravy granules. 1.14: Exactly 15 minutes after they went in, the Yorkshire puddings are cooked to the satisfaction of Tom. 1.24: With everything out of the oven and the veg cooked and drained, dinner is served. The family eat at the table. 1.59: After dinner, Sarah spends 35 minutes clearing the table and cleaning the kitchen, before retiring to the lounge with a glass of wine. Three and a half hours after dinner was started, Sarah can relax. 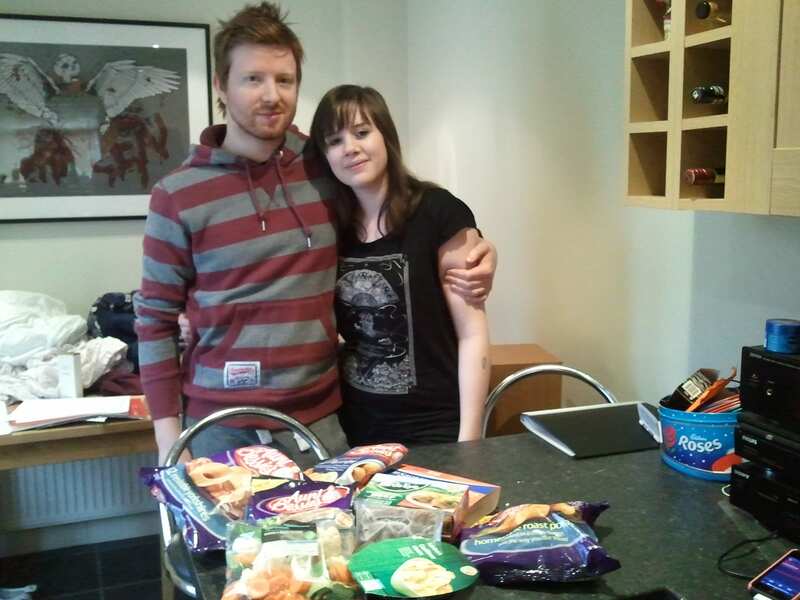 Young couple Rachel and Rob Upton enjoy a Sunday dinner, and are happy to buy it ready made on the shelves of their local supermarket. The ready prepared and freezable ingredients fit in with their lifestyle and mean that they don’t have to worry about finding time on the day to make a trip to the supermarket. 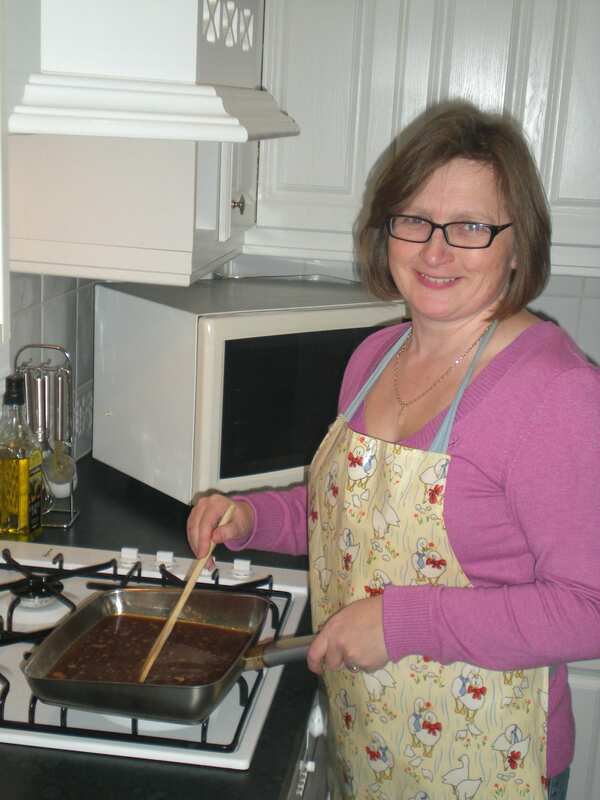 12.20: The oven is switched on to heat up while Rachel prepares all the elements of the meal – taking them from packets to baking trays. 12.30: The Parnsips, potatoes, stuffing, sausage and bacon rolls and cauliflower cheese are put out into the oven for 25-30 minutes at 190 degrees. 12.47: Rachel pops back to the kitchen to boil the water for the bags of beef. 12.53: The microwave is set for seven minutes to cook the bag of vegetables and the instant gravy is made. 1.03: Just over 40 minutes after the oven was first turned on, dinner is served. Rachel and Rob settle on to the sofa, dinner on their lap, to watch Formula One. 1.30: Plates and cutlery into the dishwasher,the clear up is done before the kettle is boiled for a cup of tea. A stand filled with the most delicate finger sandwiches, fresh cream filled patisseries and the lightest of homemade scones takes centre stage. This is the quaint essential experience of afternoon tea at the Black Swan Tearoom & Patisserie. The Black Swan Tea Room, Helmsley, North Yorkshire, has been buzzing since it opened nearly three years ago. During its short life, the tea room has been adopted into the prestigious Tea Guild, joining the likes of the Ritz and Tea at Liberty. It has also been awarded the highest accolade in the tea world – being named the UK Tea Council’s Top Tea Room – and has become known for it’s top quality teas from around the world. 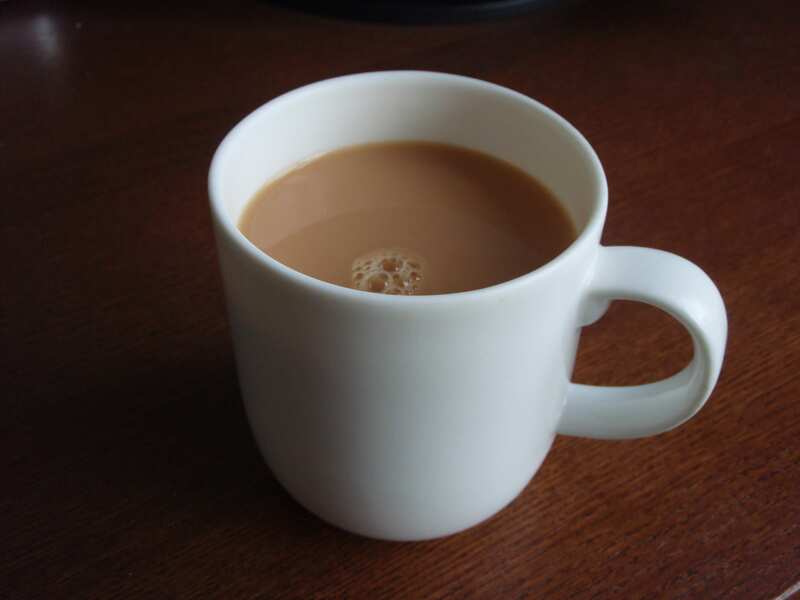 Alison Souter, Tea Room Manager at the Black Swan, believes that the success of the tearoom goes much further than selecting some of the best teas – it’s in everything that they do. This simplicity and underlying quality that is reflected through out the tearoom, whether it be through the white Wedgewood tableware or the cosy cottage interior. It is the ultimate experience, which ought to be savoured. This is one of the reasons, Alison argues, why afternoon tea has seen a strong resurgence during more difficult economic times.